This masquerade eye mask with stick is handpainted with a whimsical glitter detail. 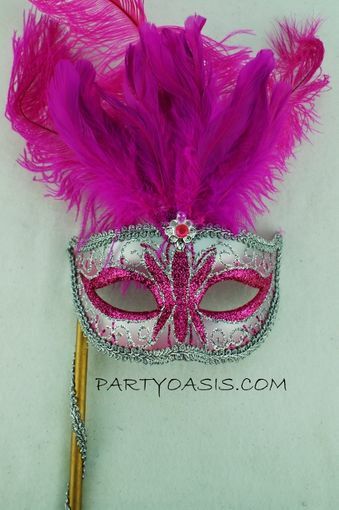 Made out of lightweight molded plastic, this venetian mask is easy to handle. Comes with stick wrapped with rope and a tassle for added flair.